Shopping for a used car in West Babylon, but want to make sure you choose something that fits comfortably in your budget? 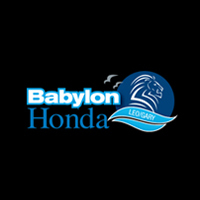 At Babylon Honda, we have a selection of used cars under 10k. Regardless of your preferences, you’ll be able to find something that suits your needs at a price you love – even if you don’t drive home in a Honda. We want to make your car-buying process as stress-free as possible, so contact us at your leisure if you need any information. 2004 Honda Civic LX Recent Arrival! Clean CARFAX. 29/38 City/Highway MPG Odometer is 70705 miles below market average! Awards: * 2004 KBB.com Best Resale Value Awards * 2004 KBB.com 10 Best Used Cars Under $8,000 For more information, visit www.kbb.com. Kelley Blue Book is a registered trademark of Kelley Blue Book Co., Inc. Honda CERTIFIED---- BAD CREDIT--CHALLENGED CREDIT--NO CREDIT-- NO PROBLEM-- Advertised offer to those who finance through the dealership. Banks like to see a $1995 down payment for preferred financing. Internet pricing is reflective of $1995. All prices exclude dealer prep, sales tax, title and tags. 2009 Hyundai Sonata GLS Clean CARFAX. CARFAX One-Owner. 22/32 City/Highway MPG Odometer is 28258 miles below market average! Camel w/Premium Cloth Seating Surfaces. HONDA CERTIFIED---- BAD CREDIT--CHALLENGED CREDIT--NO CREDIT-- NO PROBLEM-- Advertised offer to those who finance through the dealership. Banks like to see a $1995 down payment for preferred financing. Internet pricing is reflective of $1995. All prices exclude dealer prep, sales tax, title and tags. 2005 Toyota Matrix XR Odometer is 63266 miles below market average! Illuminated entry, Remote keyless entry. HONDA CERTIFIED---- BAD CREDIT--CHALLENGED CREDIT--NO CREDIT-- NO PROBLEM-- Advertised offer to those who finance through the dealership. Banks like to see a $1995 down payment for preferred financing. Internet pricing is reflective of $1995. All prices exclude dealer prep, sales tax, title and tags. Why Choose a New Honda from Babylon Honda? Our sales team is standing by to get you behind the wheel of the model that best suits your budget and driving needs, Contact us today to get the process started.